One of my greatest pleasures is the study of Afro-Latino culture. In September, I had a wonderful opportunity to write about the African contribution to Hispanic Heritage for one of the oldest black newspapers in the United States, New York Amsterdam News. The newspaper, which was founded on a $10 investment more than a century ago, has a distinguished history of being at the forefront of covering major issues and events involving people of African descent. What an honor to share the article with you! Hispanic Heritage Month, Sept. 15 – Oct. 15, offers an opportunity to illuminate what is too often overlooked—the African influence and tradition in Hispanic culture. Today, approximately 150 million Latin Americans have some African ancestry. For more than 500 years, Africans and their descendents richly contributed to the fabric of Latin American society. During the Middle Passage, an estimated 12 million enslaved Africans were shipped to the Americas. Of this group, less than 10 percent were brought to the United States. The overwhelming majority were transported to the Caribbean and Latin America, where they provided free labor under exceptionally brutal conditions. They worked on cattle ranches in Brazil, in mines in Colombia, on sugar plantations in Ecuador and in other areas throughout the region. From the pre-Columbian era to the colonial period through independence from Spain, Africans have been present in Latin America. Juan Garrido, born in Africa, traveled to the Americas in the 1500s, participating in the conquest of Mexico. 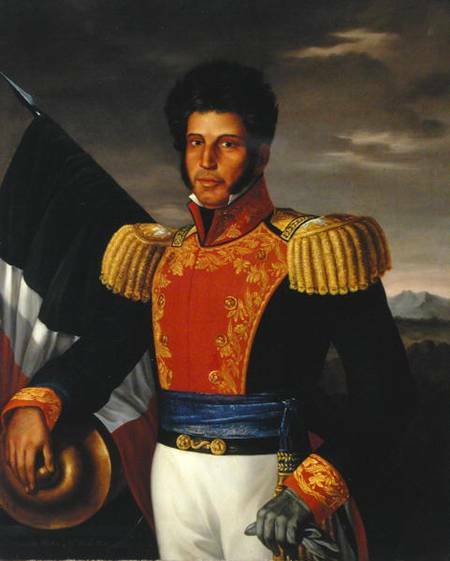 In 1829, a newly formed Mexico was governed by its second president, Vicente Guerrero, whose paternal lineage was traced to enslaved Africans. Antonio Maceo, the son of an Afro-Cuban mother, known as “The Bronze Titan,” was considered one of the greatest commanders in Cuba’s fight for independence. Latin Americans of African descent, often referred to as Afro-Latinos, synchronized their African traditions with Latin culture, creating enduring African roots throughout Latin America. For example, Cuba’s Santeria religious tradition traces its roots to Nigeria’s Yoruba. Mofongo, Puerto Rico’s savory fried plantain dish, is of West African origin. And the Dominican Republic’s signature sound, merengue, developed from strong African rhythms. Read and Like the full article on the New York Amsterdam News website. At 28 years old, I’m still learning about my history as a proud Afro-Costa Rican!